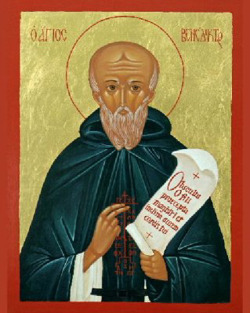 St. Benedict was a sixth century Italian nobleman who gave up a life of scholarly privilege in Rome in favor of a life of prayer and contemplation. He sought out the lifestyle of a hermit in a hilly place which became known as Subiaco, but his solitude was short-lived. Disciples came to him, touched by stories of the solitary holy man. Some were people like himself, secular men, who had abandoned the sophisticated life. Others were hermits already settled in the hills. Benedict gathered all of these into a community of monks in a new monastery at Subiaco. After a time, Benedict left Subiaco and established a new community in the territory of Monte Cassino; this was destined to become one of the most famous monasteries in the world. 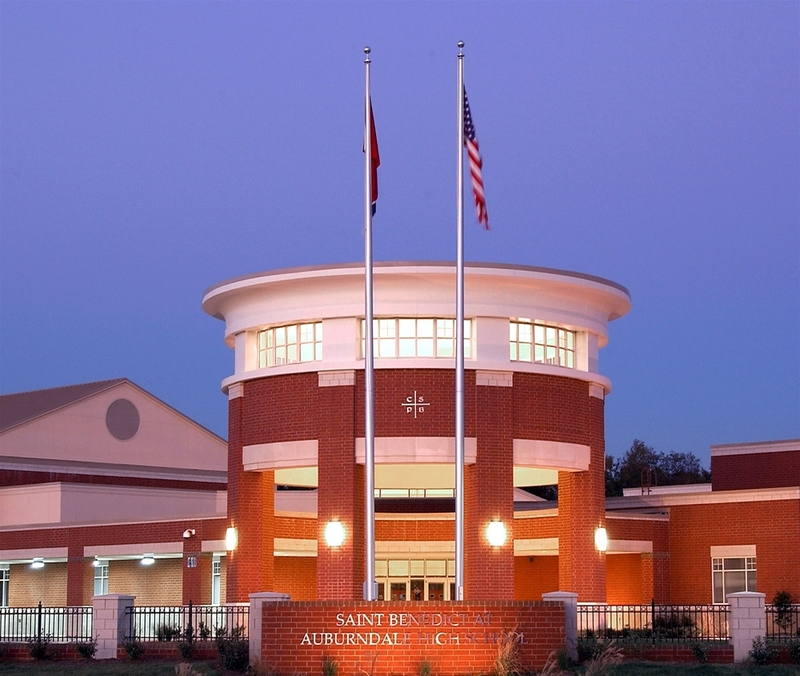 The philosophy of St. Benedict at Auburndale recognizes as its highest value an environment wherein knowledge is enlightened and enlivened by the Gospel values. This essence of Faith is shared by administration, teachers, students, and parents in a spirit of great freedom and great love. St. Benedict at Auburndale is aware that each student has a personal style of learning and a pace at which he/she learns best. Consequently, the school works to provide an atmosphere which capitalizes on strengths and to remediate weaknesses. Knowing also that the classroom is not the only arena in which learning takes place, St. Benedict at Auburndale attempts to educate the whole person by providing a variety of co-curricular and extra-curricular activities. The focus of this institution is the promotion of personal excellence through the maximum spiritual, physical, emotional, social, and academic growth of the student. We endeavor to guide each student to realize his/her worth and dignity; to identify and develop potential for learning; to utilize his/her individual talents and skills for the betterment of self, family, Church, community, nation, and world.Based on this philosophy, St. Benedict at Auburndale seeks to lead each student in the gradual transition from dependence to self-determination and personal mastery.